I am testing a bunch of hair products out recently so I thought I would share them with you! I haven't determined my true feelings on any of them yet so you'll be hearing that later on but you can read my initial thoughts here. 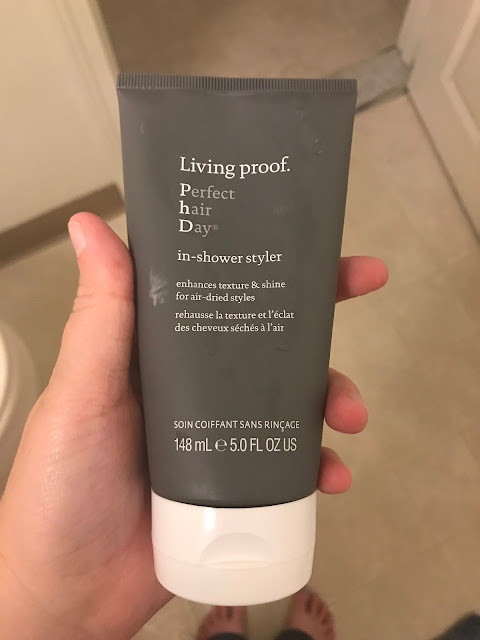 I just picked up this Garnier Fructis product this past weekend and really like the idea of being able to use products without any heat. I have only used this once and didn't think it did anything with my frizz. My hair is naturally very frizzy and a mix of waves and curls so it is tough to tame. I think I will try this out some different ways though and see if it works differently. I love a good heat protectant and this Garnier Fructis one states it works with 450* and my straightener gets really hot so that is definitely a good thing. I have yet to try this but will definitely get back to you on what I think. I use hair oil quite a bit when I have flyaways and my hair is extra frizzy. I just finished up the oil I was using and pulled this one from my drawer because I had used it a couple times previously and remember liking it. We will see if that opinion still stands! Lastly is Nexxus Hair Spray which I use anytime I put my hair up in braids or a high bun. I really like the smell of this hairspray. It's not super strong smelling which is good but the hairspray works great without holding too much. I like to be able to move my hair if I want to which makes this hairspray a perfect fit so far. So that's what I'm trying in the hair product world right now. I will keep you updated and you will see these products back in future empties posts with my final reactions!